Suzuki is going to launch the new quarter-litre version of the Gixxer in March 2016. With the model’s official unveiling slated for the 2016 Auto Expo, the Gixxer 250 will initially debut as a supersport motorcycle, matching strengths with the likes of the KTM RC200, Bajaj Pulsar RS200 and the Honda CBR250R. Though the Suzuki Gixxer 250 will be based on the same single downtube frame, the underpinnings will be heavily modified to help the bike cope with the extra power. The 250cc engine will have a single-cylinder architecture influenced by the Gixxer’s 155cc mill, with the addition of a fuel injection system. We can also expect the Gixxer 250 to get a revised swingarm, better tyres and more powerful brakes with ABS. 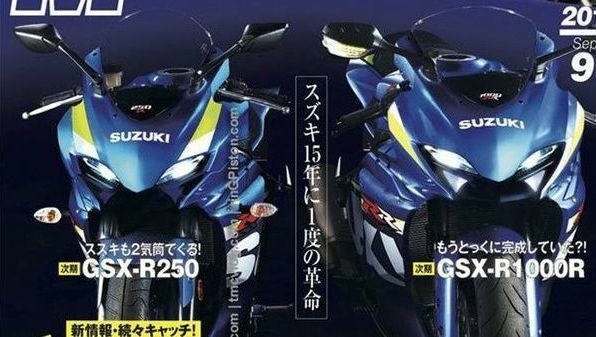 Previous renderings of the Gixxer 250 have hinted that the bike might be influenced by bigger Suzuki GSX-R models, rather than the Gixxer SF, to give it a sportier appeal. Though Suzuki’s overall sales number declined by eight per cent in October 2015, the sales of the Gixxer have spiralled upwards over the past few months. If the Gixxer’s popularity is anything to go by, we can expect the Gixxer 250 to be another success story for Suzuki. We expect more details to be revealed as we get closer to the Auto Expo.